Why Distant Reiki on the Full Moon? I have been asked why I send Distant Reiki on the full moon every month. The answer is quite simple. It’s an easy time for me to remember. There is no significance between Reiki and the full moon. I just love the energy of full moons. The full moon illuminates what is usually hidden from us in the dark. It helps us perceive what is normally unseen at night. The full moon reminds me of expanded psychic ability. The ability to sense unseen energies. The full moon represents expanding your consciousness. The light of the full moon helps you explore beyond your comfort zone or your fears. The full moon reminds me of the beautiful, reflective feminine energy. The full moon energy symbolizes dreams and past lives. It reminds me of our wild and free inner nature. You may catch me howling at the full moon. In the winter, I go on magical full moon skis in the forested mountains. It truly feels like a living dream. I like to think that the Reiki flowing to you at the full moon can help you tap into your expanded consciousness and intuition; release fears; tap into your reflective nature; help you feel free; and so much more. I imagine the Reiki sparkling in the moonlight that radiates down to you and the Earth. The moon image I send out each month has distant Reiki flowing from it too. I get such positive feedback from many of you. I love how the Reiki works its divine magic in your lives. Giving you the healing you need in your own personal journey. That’s why I chose the full moons to send Reiki to my subscribers and followers. Join the email list on the right side of this page or follow me on Facebook, Twitter, Instagram or LinkedIn to get your monthly Full Moon Distant Reiki. After being on the scene for a wilderness rescue in the same week that a good friend was first on the scene of a car accident, I have been thinking about how wonderful Reiki is for first response in emergency situations. When I was visiting my sister in Sedona in March, we were enjoying relaxing by the creek. We heard a man calling for help. At first we weren’t sure if he was actually asking for help or playing around with his friends. We knew he was with at least two other people. We heard him yelling,”I am over here! I fell off the mountain!” We gathered that he had at least broken his leg as we listened to him calling out in pain and agony. We couldn’t see him from where we were. I knew we had to help. My sister went to find him, make sure his friends were with him and to get to higher ground to call 911. There was no signal where we were. I remained at our spot by the creek nearby and immediately started sending Reiki. The Reiki was flowing strongly with my hands getting super hot. I learned from my daughter’s friend that you can call 911 with no service. I tried it and it worked. I also learned not to assume that the local first responders know the area well. None of them had been down to this part of the creek. They went to the wrong place at first and it took them over an hour to get to this man. Had I known this, I would have stayed on the phone with 911 and given very detailed directions. While we awaited the EMT’s, I stayed where I was relaxing by the creek. I kept sending Reiki that everyone would be guided on what to do and to help the victim with his injuries. The victim was in an out of consciousness and growing weaker. We hoped the rescuers would be there before it was too late. I could feel the Reiki soothing him and performing its magical healing. His injuries turned out to be a broken arm, leg, ribs, punctured lung. And that’s just what the first responders could tell. My sister helped the first responders locate the victim. She also was giving them advice on the best path out and helping them carry equipment. Lots of choices were made. One being for them to call in the helicopter instead of taking him out on the trail. I trust the Reiki helped them all work together for the best possible outcome for this young man. Looking back on this incident, it was amazing to see a rescue happen first hand. People really do come together. Everyone does the best they can in the moment. Everyone does what they are guided to do. My first response is always Reiki. And I am best with a small layer of separation if possible. Although in this situation, if my sister had not checked on him I would have gone to him. I remember during that hour we waited for the emergency responders, I tapped into the energy of people all over the world responding to crisis situations. I connected to all the other people who were sending Reiki in first response to an emergency. I knew I wasn’t the only one. Then I tapped into the energy of wellness happening in the world. The wellness always far outweighs the turmoil. There is wellness even in a crisis if you look for it. You can always connect with the feelings of love and peace within you no matter what is happening around you. I found aligning with the inner calm within me was very powerful. I know the Reiki facilitated that blissful feeling, even when I knew there was a man suffering nearby. Always remember you have far more to offer from your place of well-being than from your place of worry and fear. And no matter how you personally feel when you send Reiki to someone, the Reiki will enter them feeling like love and peace. It won’t transfer your nervous energy or fear to the receiver. I also was acutely aware of not being attached to the outcome in this instance. Of course, my human mind wanted him to live to tell about surviving his fall off a cliff. But I also knew, that the Reiki would help him cross over if it was meant to be for him. I believe this man lived through this experience. Part of not being attached to the results in this instance was not being attached to knowing the outcome at all. We left when they asked us to clear the area for the helicopter. We knew that we had helped all we could at this point. Call 911 even if you have no signal or you think someone else may have called. Ask the Reiki to insulate you from the trauma and keep you grounded. Send Reiki to the injured. Send Reiki to those on the scene helping. The Reiki will support the best course of action to unfold. It will help those involved make decisions that serve the highest good, by helping them stay clear, focused and open to infinite wisdom. Send Reiki to the emergency professionals. They are working hard and doing their best. For the victim(s), I think the best choice is hands off, beaming, unless you personally know the person. Of course, ask permission if you can or send with the intention that the injured person receives based on their free will. Remember if you are directly with the injured, don’t move them. Just help them stay calm where they are with Reiki. When it’s all over, remember to give yourself Reiki to sooth and calm your own nervous system. A good place to Reiki yourself is your mid-back, adrenal glands. You can also Reiki your root chakra to ground yourself. You are far more powerful in offering assistance if you stay centered in your love and light. If an injured person feels your fear and worry, you add to their fear and worry. The Reiki adds strength, love and peace. Trust that you are helping far more than you may ever know by mediating and sending Reiki. And don’t worry if you are feeling off center, the Reiki will still work in calming them and you. I’m sure that Reiki in its infinite wisdom places Reiki practitioners where they are most needed in any given moment. It could be you first on the scene one day. I hope this article helps you feel more prepared. I always teach students in my Reiki workshops that Reiki will lead and guide them along their paths if they open themselves up to receiving Reiki guidance. I am a Reiki Teacher, yet the fuller truth is Reiki itself is the Teacher. I am a vessel that the Reiki energy and information goes through. Just as the Reiki practitioner is a channel for the healing energy to move through. In each Reiki workshop I am guided on how to best convey the Reiki teachings to the individuals in the class. I teach the same things in each workshop, yet the way things are worded or how I have the student practice may be slightly different. Once I’ve attuned students to Reiki my goal is to have them reach a place of confidence, trust and reliance on the Reiki. My aim is to have the new Reiki practitioner leave the Reiki workshop empowered and dedicated to using Reiki in their lives daily. I encourage them to integrate the Reiki into what ever practices they are already using in their lives such as: yoga, massage, meditation, modern medicine, therapy, dance, career, parenting or play. How do I foster my student’s confidence in using Reiki? 1. I allow for plenty of practice time using Reiki. Reiki energy is unseen by most. Therefore, giving and receiving Reiki during the workshop allows for the student to develop a relationship with the Reiki. How it feels when it flows through them. 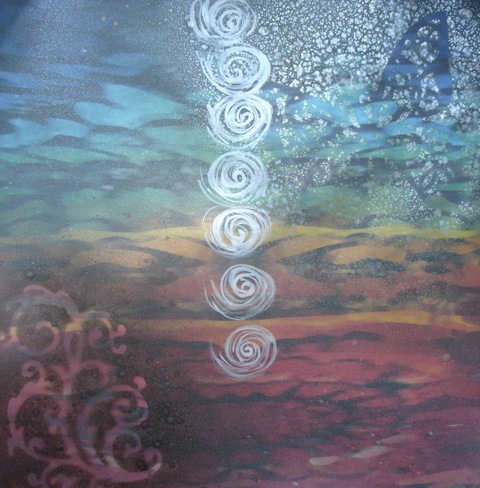 How the Reiki cycles, ebbs and flows. What it feels like to receive Reiki. 2. I encourage the person receiving Reiki and for the giver of Reiki to share what they notice when Reiki is being given. This helps the new Reiki practitioners trust in the unseen effects of the Reiki. When someone first learns Reiki it’s so important to have feedback, so they know they aren’t making things up in their head. For example, the Reiki student feels that the receiver of Reiki needs Reiki at the hips and goes there first. The acknowledgement of the person on the table that they’ve had hip problems bolsters the confidence of the new Reiki practitioner. 3. I have the students practice various techniques during the workshop to show powerful ways Reiki can be used. 4. All the while during a Reiki workshop, I’m asking my students to tap into and trust their intuition, because the Reiki will guide Reiki practitioner. It’s such a joy to watch people trust their guidance. Watching people feel with their hands and go where the Reiki sends them the messages. Sometimes the Reiki’s direction is tingling hands, sometimes inner knowing, or an inner voice, a picture in the mind or a feeling in the body. The only thing that puts any limits on the use of Reiki is a lack of creativity. I encourage the students to tap into their creative source and to be open to how Reiki can be used to promote healing and energetic wellbeing in their lives. My hope is that once leaving my workshops that the Reiki practitioners go from hearing my voice in their heads when they use Reiki to hearing the voice and inner promptings of the Reiki. Reiki attunements open the third eye and heart chakras allowing for a deepening of intuition. Not only will the Reiki guide You in how, when and where use Reiki. Reiki will guide You on your path to self-awareness. Reiki will put creative ideas for how to use Reiki that suit You or people You know. You just need to be open and allow yourself to trust the Reiki guidance. You’re not making it up. The Reiki guidance is real even if it’s unseen. That’s part of the benefit of being with others when You learn. It’s so easy to see how strong your intuition is using Reiki, when You have feedback from others in your Reiki workshop confirming what You are sensing. It’s such a joy to hear about ways that Reiki has guided students when they come back for Reiki II, Reiki III or Karuna Reiki®. Not only will Reiki guide You in your healing process and how to best help other’s in their healing, it will guide You in your path of self-discovery and persoanl awareness. I’m with You when You learn Reiki, yet the Reiki is with You a life time. Your connection with Reiki can never be broken. Keep trusting and following your guidance.